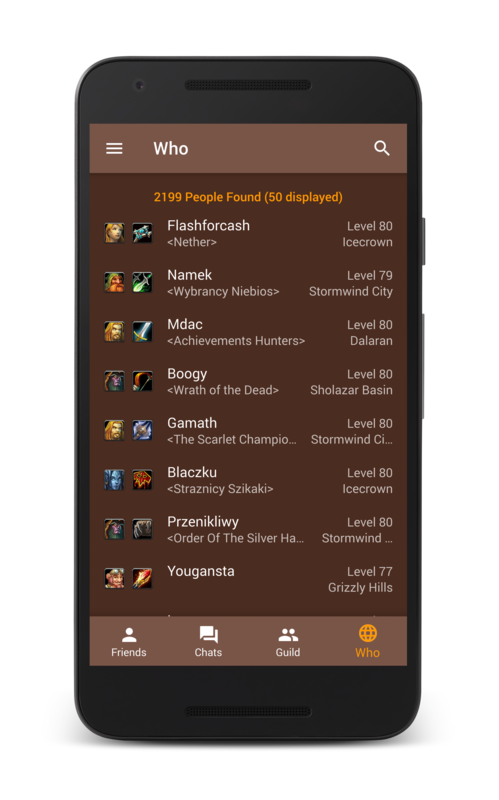 The new update of mobile WoW on Android has already been released, so it’s time to talk more about it. 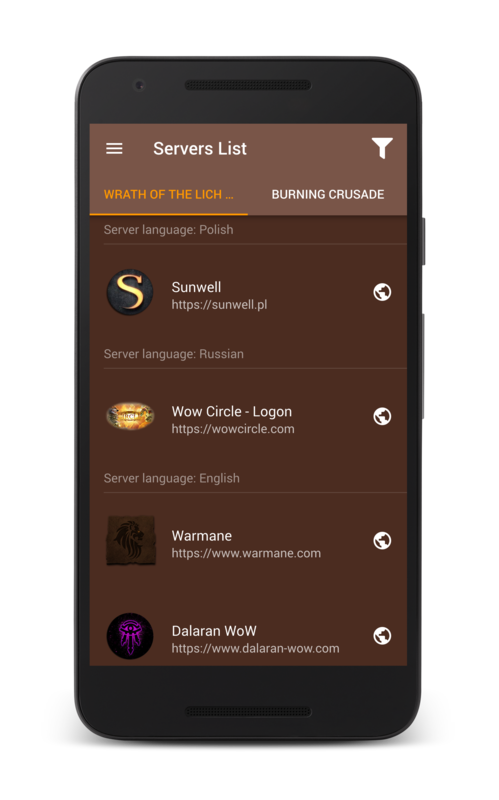 The main features is a reworked list of servers to connect and a global players list, aka Who. Now you can connect to a big number of popular servers in one click. We tried to add all servers that have more than 2000 population daily. 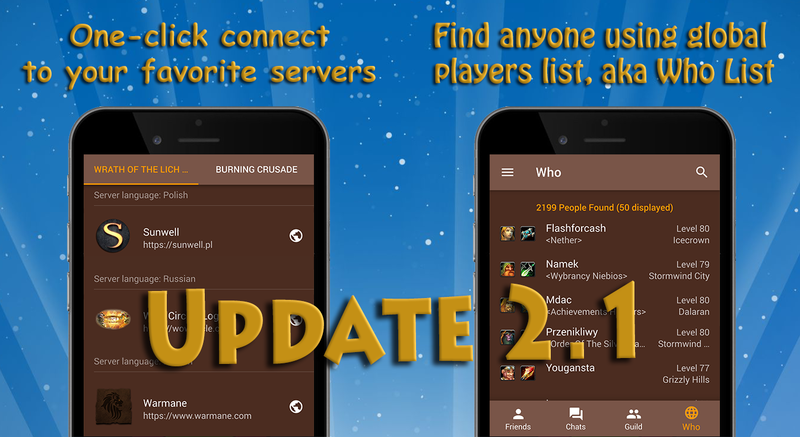 If you notice that any popular server has been missed, please write to us about it! We will add it to the list if it has more than 2000 peak population every day. 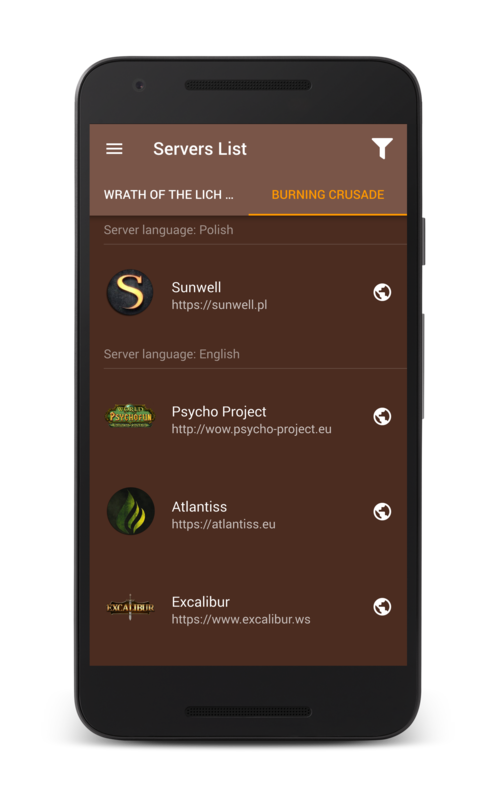 Adding less popular servers also remains possible through the partners program. All this became possible thanks to the new filtering system by server language and expansion. Now you see only those servers that you really interest. This is one of the most anticipated innovations! Implemented a global players list, also known as “Who”. 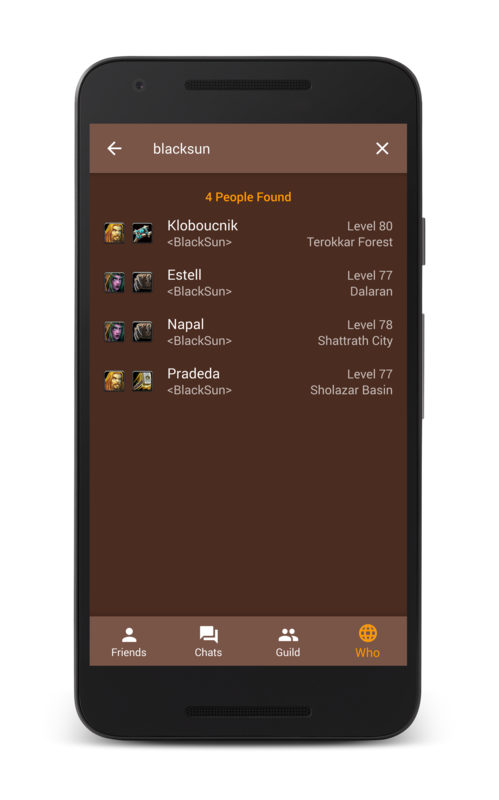 Now you can find any player in the game, even if it is not in your friends or guild, and see server population also. Search works by player name, guild name, location and level. You can also combine multiple search words separated by a space. On some servers, such as Warmane, the global list may not load for a long time. This is not a problem, you just need to wait. Some servers limit the number of requests to the global list at the server side to reduce server load. 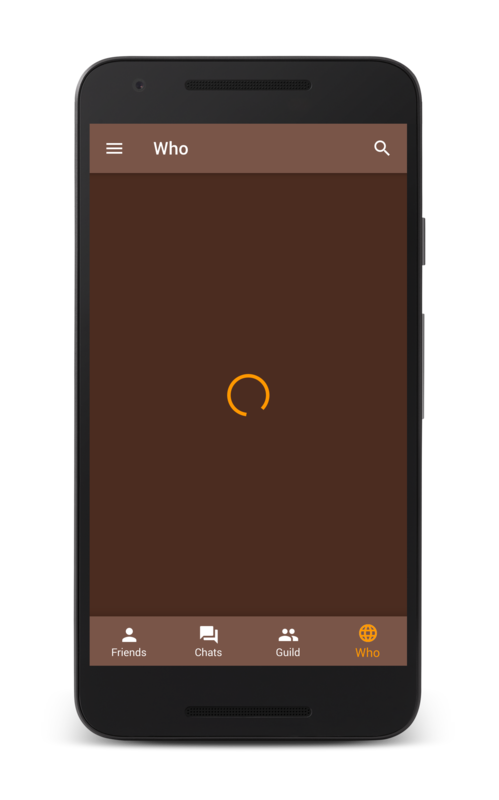 Do not forget to rate the app on Google Play and tell your friends about us!